Kelden, a 15-year-old from Show Low, Arizona, is autistic. Having this neurodevelopmental disorder means that he lacks social awareness, has trouble communicating with others, and struggles academically in humanities and language classes. He has also been a victim of bullying for as long as he can remember. Autism spectrum disorder (ASD) is the fastest-growing developmental disability in America. It’s thought that 1 out of every 110 children are affected by ASD. It does not discriminate among social, racial, and ethnic backgrounds, although it’s four times more likely to affect boys than girls. After one particularly debilitating bullying incident, Kelden experienced an attack of paralyzing anxiety and hid. The school called Kelden’s mother, Dawn, and notified the police, who sounded an Amber alert. “The moment I got that call, I knew I was withdrawing Kelden from public school,” Dawn remembers. Arizona’s Education Savings Account (ESA) program made her decision possible. The program gave Dawn access to government funds, and she was able to tailor Kelden’s education to meet his specific developmental needs. In 2011, Arizona became the first state to adopt an ESA program. ESAs are government-funded accounts that allow families to spend money on their child’s education wherever and however they choose. In a report I recently co-authored for the Wisconsin Institute for Law & Liberty, we survey ESA programs that currently exist in five states—each of which include autistic students among those eligible for ESA funds. In addition to unbundling educational services, Arizona’s ESA program—and other programs like it—allows unused funds to roll over and be spent on future educational expenses, including college. With these features, ESAs have the potential to improve the safety and treatment that autistic children require for long term success. It’s widely documented that the needs of autistic students are rarely sufficiently met in public school systems. The overwhelming majority of teachers do the best with the training they are given, but as the rates of autism rise—and the likelihood of teachers having students with autism correspondingly increases—evidence indicates that the preparedness of teachers is faltering. ESA funds would permit parents to finance the highly specialized treatment that autistic students lack in the public school, yet direly need. Most teachers receive little to no training in working with children diagnosed with ASD. In one state survey of teachers, the most commonly reported training was a half or full-day workshop, and less than 15 percent of teachers reported receiving any kind of formal training from their education programs. More efforts to prepare teachers to work with autistic students are necessary, for teachers rarely employ evidence-based practices for their work with autistic students. 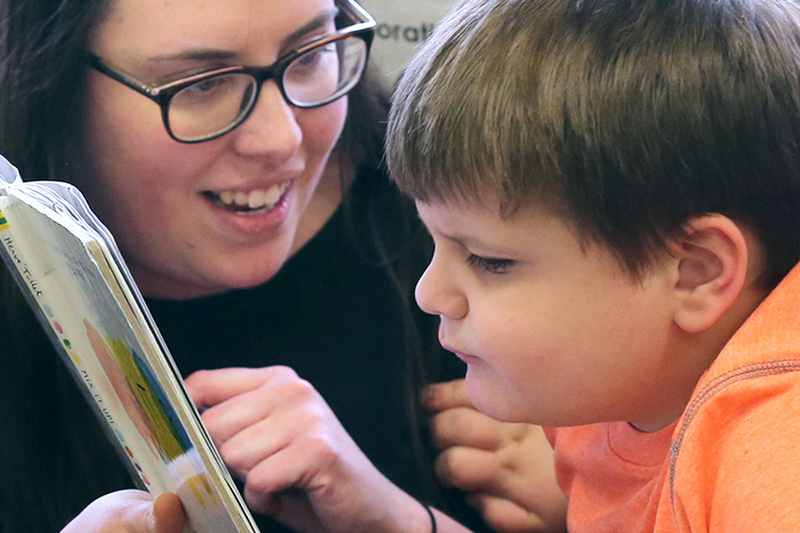 This lack of training isn’t necessarily the fault of the teacher—only a small number of states offer a licensure program in teaching students with ASD—but it underscores the need for autistic students to have options outside the traditional public school system. With access to ESA funds, parents are able to seek out and hire trained specialists and experts. Autistic students are especially likely to benefit from the customized treatment that ESAs make possible. There is a growing body of research that students with autism are particularly adept at STEM (science, engineering, engineering, and mathematics) fields, but struggle with English and the humanities. One study examining the link between mathematical talent and those with autism found that autism was nine times more prevalent among Cambridge mathematics undergraduates than among students from other majors. Public schools necessarily have curricula that are made to suit most students; but the abilities of autistic students tend to overwhelmingly cluster in a few specific areas. ESAs allow parents to focus on playing to their children’s strengths rather than forcing them to spend hours on tasks that they are not well suited to—which can lead to unnecessary frustration and insecurity. Moreover, these frustrating lessons are an inefficient use of resources; that time could be better spent sharpening the skills toward which autistic students are inclined. There are still many questions surrounding the causes and treatment of autism, but researchers are making progress and suggesting new approaches and therapies. Public school systems of necessity focus their energies on educating the median student. It’s unrealistic to expect them to be up-to-date with the current research and effective treatments. But by providing alternatives to unsafe environments, opportunities for specialized and research-based treatment, and options for customized curricula, ESAs have the potential to significantly improve the educational experience for autistic students. Experts believe that Issac Newton, Albert Einstein,and John Nash Jr. suffered from types of autism. By giving autistic students like Kelden the best possible education, ESAs can help cultivate the next generation of beautiful minds. Alexandra Hudson is a graduate of the London School of Economics where she completed her masters in international comparative social policy as a Rotary Global Grant Scholar. She has held posts with the American Enterprise Institute and the Federalist Society and most recently was lead education policy analyst at the Wisconsin Institute for Law & Liberty.